WHEN Alina Morse was just seven years old, she asked her dad the million dollar question: "Why can't we make a healthy lollipop that's good for my teeth so that I can have candy, and it wouldn't be bad for me?" Today, at 13 years old, Morse is projected to make around $2 million in profits this year with her company Zollipop. Morse told FOX Business' Maria Bartiromo' on "Mornings with Maria" that funding for the company originally came from savings that she had from family, about $7,500. She said that it took about two years to develop the products by researching and talking with her dentist and dental hygienist in order to formulate the perfect candy confections that not only taste good, but also give the consumer a healthier smile. 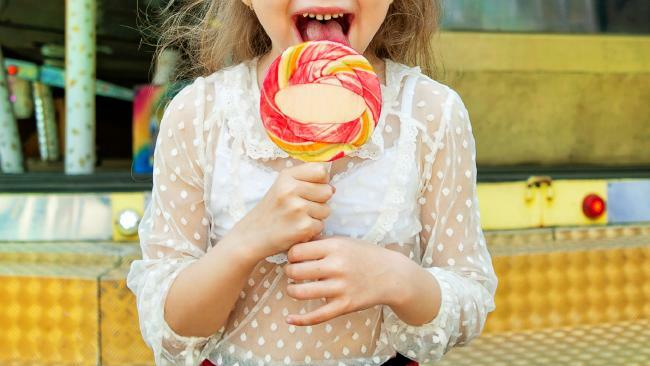 The ingredients in the products that Zollipop sells include xylitol and erythritol, which Morse described as all-natural sugar-free sweeteners that raise the pH in your mouth and strengthen your tooth enamel. The first Zollipops were sold in 2014, and currently, the company sells products in retailers including Walmart, Kroger, Whole Foods and Amazon. Prices on Amazon for Zollipop's products range from around $6 to $17. Morse has produced three different products for her company: Zollipops, Zolli Drops and Zaffi Taffy. Flavours include strawberry, pineapple and orange. Ten per cent of the profits that Zollipop makes are donated to support oral health benefits to schools and qualified organisations through the company's One Million Smiles Initiative, according to the website. While some teenagers in Morse's position might jump at the chance to use their million dollar status to skip college, she said that she wants attend college in order to learn more to help with her company. This story originally appeared on Fox Business and was republished with permission.